The weather cooperated in style and trail riders from throughout driving distance gathered at the Brockdale Trail head for the TTPA February 19th Trail Ride and a Dutch Oven Cooking lunch. Kurt and Shelley Van Doran treated the riders to an authentic Dutch oven cooked stew and pies for dessert. Jana whipped up some of the best rolls I’ve ever tasted – all cooked in a Dutch oven. A dutch oven is a cast-iron pot that is the traditional cowboy cooking method. The heavy pots normally have three legs, a long handle and a concave lid. Hot coals are normally placed on the lid to create internal heat in the pot so that it acts like an oven. 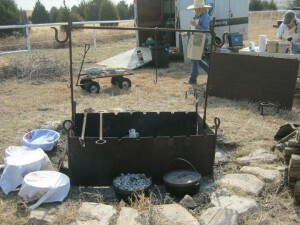 The cooks created the food on site using traditional cowboy cooking methods. The turnout was great for the ride. After the recent bad weather, people were ready to get back in the saddle. 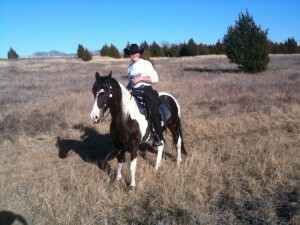 Fortunately, the day of the trail ride was blessed with temperatures in the 70s and sunshine. The parking lot was nearly full of horses and trailers. Riders went both south and north from the trail head. Riders began their rides around 10 AM and returned for the Dutch Oven lunch at 1 PM. Here are some snapshots from the event. Pictures are by Tracy Matern and Christine Churchill. 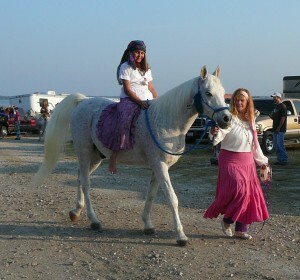 More pictures can be found at the Trail Ride Ablum of the TTPA Facebook page . The Trinity Trail Preservation Association (TTPA) will sponsor a trail ride and Dutch Oven lunch, Saturday, February 19th at the Brockdale Park trailhead in Lucas, Texas. Trail Ride: Arrive trailhead at 9:30 AM. Ride out at 10:00 AM. Lunch: Dutch Oven lunch is scheduled for 1 PM. Kurt and Shelley Van Doran have graciously volunteered to prepare an authentic Dutch oven lunch of stew, bread and cobbler. Bring your lawn chairs and appetite. There will be a $5 donation to cover ingredients and paper goods. Join us for some great conversation with other riders. You can adjust your ride to your own schedule. Please RSVP to Lana Gilstrap at lanagilstrap@sbcglobal.net so we can get a head count and know how much Stew to make. The ride will be automatically canceled if it is raining or if there has been so much rain as to make the trail extremely wet, muddy and dangerous. 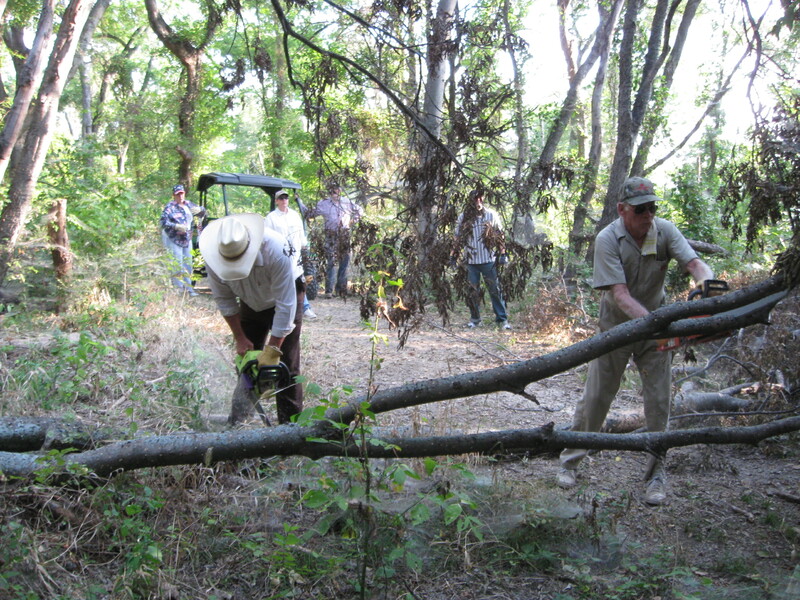 To check on trail conditions call Trail Steward Charlie Gaines at 972-824-3369. Don’t forget your current negative Coggins Certificate for each horse, as state law requires us to check. You can’t enter the park without one. Lucas is northeast of Dallas, TX. From Dallas, go north on US 75 to the Bethany Drive exit in Allen and go east. Take Bethany Drive through Allen into Lucas (about 5 miles). Counting the light at the expressway exit, you will go through nine lights. The ninth light is at Bethany and FM 1378 where Lucas City Hall will be on the left. Go straight. In about ½ mile, when the road makes a sharp curve, you will see a stoplight and the Lucas Food Mart and gas station will be on your left. Turn left here on FM 3286 and go less than a mile to Brockdale Park Road. There is a brown Brockdale Park sign on the right just before the turn. It turns off to the right. If you get to the bridge over Lake Lavon you have gone too far. Follow Brockdale Park Road around to the trailhead. You will drive through three 90-degree turns. The trailhead is at the 3rd 90-degree turn on the right and is bordered by white pipe fence. If you get to the boat ramp you have gone too far. For more information about TTPA, call Membership Chairman Ruth Blom at 214-418-4106. For additional information, see the Trinity Trail Preservation Association’s website at http://www.trinitytrailriders.org or the TTPA blog at http://www.trinitytrailsblog.org/. Mother Nature has dumped rain and snow on our trail making Trinity Trail extremely muddy and slippery. Rather than take unnecessary risks, we are official cancelling the Chili Ride that was scheduled for this Saturday. We were hoping the sun would come out and dry up the trail, but it does not look like the trail conditions will be good enough by Saturday to hold the ride. Our next ride is scheduled for 19 Feb at Brockdale. Volunteers are the life blood of our organization. 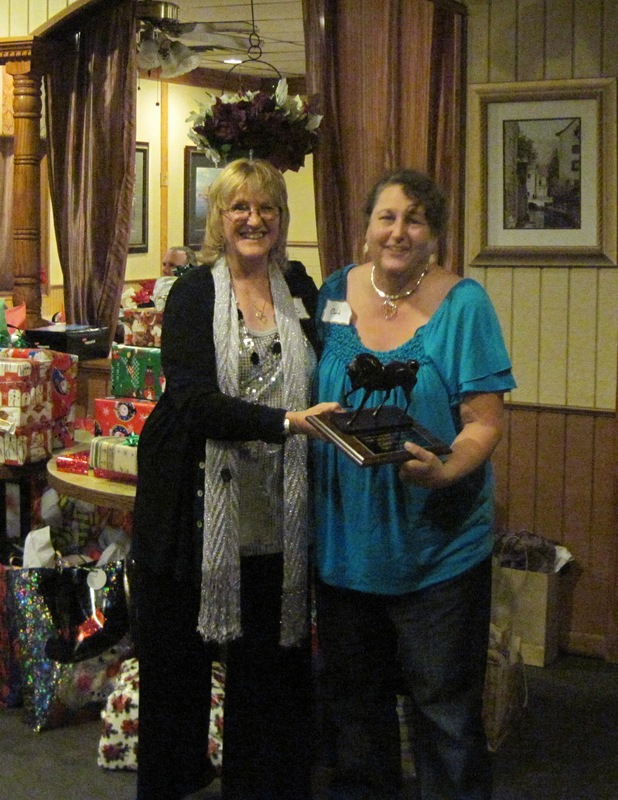 The TTPA exists because wonderful people like you volunteered your time and resources. Over the years we have had many hardworking people devote hours of hard work to make the trail what it is today. We will be building out the History section on the site to tell the story of the organization and to try to recognize people who have contributed their time to make the organization what it is today. Today we would also like to recognize those volunteers who have stepped up and have volunteered to support the TTPA for 2011. First off, we would like to say thanks to the TTPA Board especially to new Vice President Jack Gilstrap and Secretary Kris McFarland. We still have an open Board seat for the Events position. If anyone is interested in filling that position, please contact us. We would love to have you to fill that seat and we promise that you will have help. Part of the efforts have been to spread out the work so no one person has to do too much. “Many hands make light work” is our new motto. We also have a number of committees to perform specialized jobs and to assist at events. This year the TTPA was truly blessed with the volunteer spirit because we have more volunteers than ever offering their help. This makes the work more fun and lessens the load on everyone. Thank you volunteers. You make it better for everyone. We still need more volunteers so if you’re wondering if you’re needed, you still are! There are many more volunteers who help out behind the scenes or who have been accidentally left off the list (please let me know the names and I’ll add them). We are grateful for your support. Thank you volunteers. Because of you we have a trail and an organization. Thank you! Thank you! Thank you! Its time for the annual TTPA Chili Ride. 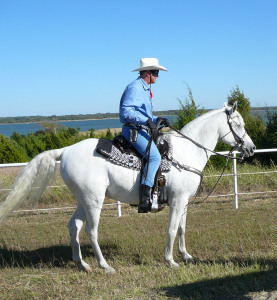 The Trinity Trail Preservation Association (TTPA) will sponsor a trail ride and Chili Cookout, Saturday, January 15 at the Brockdale Park trailhead in Lucas, Texas. Trail Ride: Arrive trailhead at 2:00 PM. Ride out at 2:30 PM. Dinner: Chili dinner scheduled for 5 PM. TTPA will be providing a bonfire, beverages, and Texas chili. Bring cornbread to share and a lawn chair. There will be a $5 donation to cover chili and paper goods. Chili Dinner will be served at 5 PM after the ride. Join us for some great conversation with other riders. You can adjust your ride to your own schedule. Please RSVP to Lana Gilstrap at lanagilstrap@sbcglobal.net so we can get a head count and know how much Chili to make. 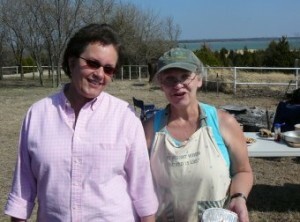 Sharon Berryman will be making the chili with assistance from the TTPA chuckwagon folks. Several folks have asked for a proposed calendar for activities for the TTPA for the year 2011. Here is a tentative schedule. As I hear of date changes I will update this page and post information about the new dates in a new blog post. These dates are subject to changes and cancellations if weather is bad. This is Tracy’s working list. I’ll try to update it here as dates are firmed up. 23 Trailride-Rise 12:31 AM mid 7:24 AM 47.2% switch with workday? Jack Gilstrap will be heading up the workday. Please bring gloves, loppers, and weed eater. Jack will have the Gator and Chain Saw. Please come out and support your trail! The TTPA Christmas Party has moved to a restaurant this year but we will still be doing our Christmas Gift Exchange. Please bring a wrapped present valued at $20 or less. 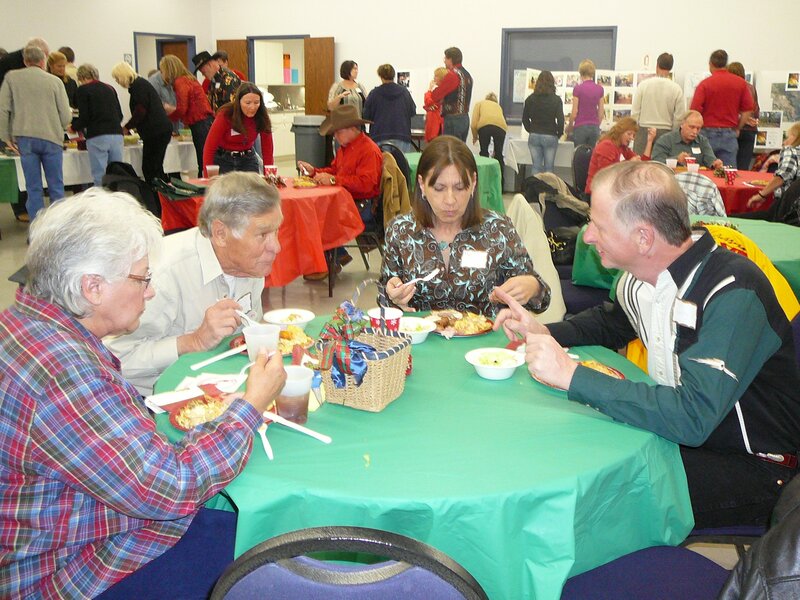 The party is a fun event and a good way to get to know fellow riders. Dinners include a drink and salad. TTPA will pick up the gratuity. Dinner choices are Meat Lasagna, cheese lasagna, baked ziti, Manicotti, Spaghetti with meat sauce, and spaghetti with meat balls. We will also be electing new board members. Our Vice President Tom Eberhart, Event Chair Berdine Eberhart and Secretary Pat Martin will all be stepping down after many years of service. We thank them for their many contributions. 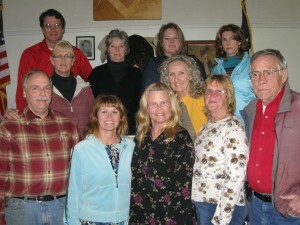 Each of these folks has given many hours of their personal time to help with the trail system and TTPA. We will need new volunteers to fill the positions. Please consider getting involved with the club or if you were involved in the past please consider getting back involved. There will be an election to fill the openings at the meeting. The picture above is of the board who has been serving you in the last year. If you want more information on what is involved with being on the board or would like to vounteer to be on the board, contact Tracy Matern. The TTPA Halloween Events were a great success. The day started with an incredible turnout for the Lucas Founders Day parade. 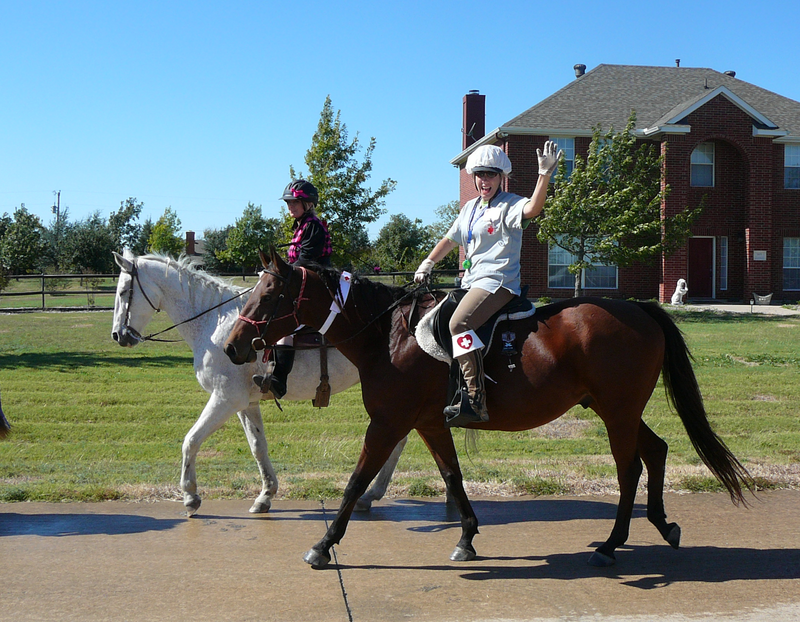 Over 50 horses and riders participated in the parade representing the horse community in the surrounding area. Following the parade, riders and horses moved to Brockdale Park Trailhead for a costume contest and trail ride. 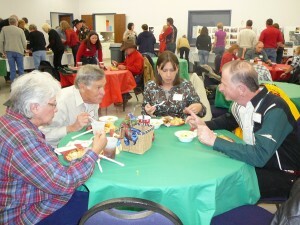 After the trail ride the TTPA hosted a hamburger dinner. It was a relaxing fun day for all. Thanks to EVERYONE who volunteered their time to make it happen. We all had a blast. Below are a few of the photos from the events. Halloween Fun with your Horse! Halloween is extra fun this year if you’re a horse person in North Texas. On Saturday Oct 30 start out the day with riding in the Lucas Founders Parade starting at the Lucas City Hall. Riders need to assemble behind Lucas City Hall at 665 Country Club Road, Lucas, TX starting at 11 AM. There is plenty of room to park your trailers there. The Parade starts at 1 PM. 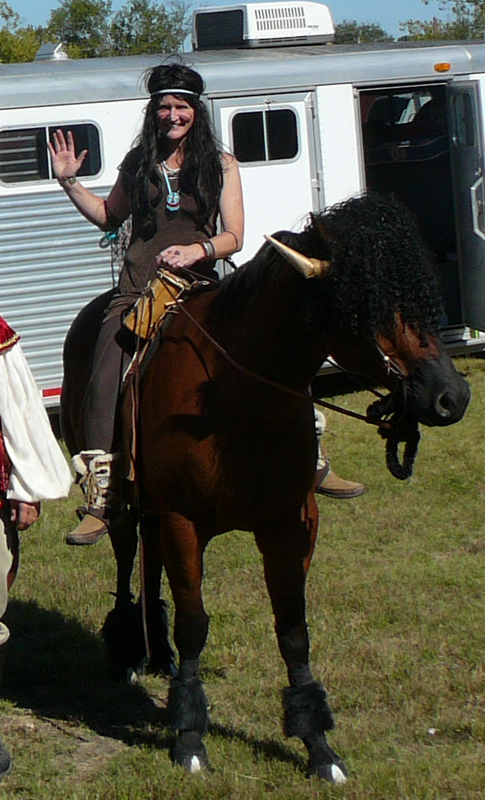 After the parade haul your horse over to the Brockdale trailhead for a costume contest at 3 PM. This is a favorite event for all ages. Prizes will be awarded to 1st, 2nd and 3rd places in 3 divisions—adult (over 18), young adult (14-18) and youth (under 14). 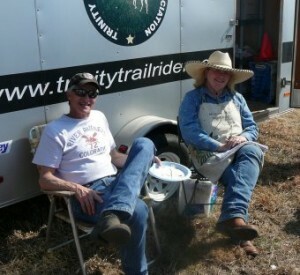 After the contest there is a trail ride and a dinner at 6 PM at the trail head. Lucas will also be offering trunk or treating for the littlest citizens at 6 PM back at Lucas City Hall. 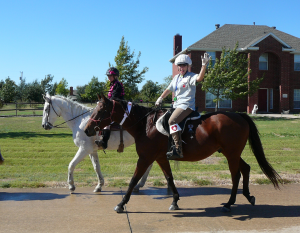 If you want to participate, even if you don’t have a horse or you’d like to walk in the parade, contact Tracy Matern (bobtracy at dfwair.net) at 214-495-7493. You can attend any and all of these events. Please RSVP to Tracy for the Parade and the dinner at the email and telephone number above so we are sure we have enough food for you and can give an estimate to the Lucas Parade organizers. Remember to bring your Coggins papers for the activities at Brockdale Park. To get to Brockdale Park/Trailhead from US 75: exit on Bethany Drive in Allen and go east. Take Bethany Drive through Allen into Lucas (about 5 miles). Continue straight through on Bethany Road, the road changes its name to East Lucas Road and intersects with FM 1378. Go through the stop sign straight on Lucas Road. In about ½ mile, when the road makes a sharp curve, you will see the Lucas Food Mart and gas station on your left and a stop light. Turn left here at stop light on FM 3286 (aka W. Lucas Road) . Go less than a mile to Brockdale Park Road. It turns off to the right. (If you get to the bridge over Lake Lavon you have gone too far.) Follow Brockdale Park Road around to the trailhead. You will drive through three 90-degree turns. The trailhead is at the 3rd 90-degree turn on the right and is bordered by white pipe fence. If you get to the boat ramp you have gone too far. Here’s a note from our Halloween Event Coordinator Tracy Matern. 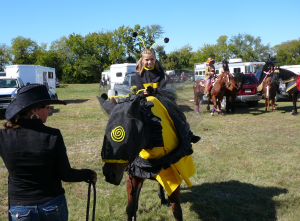 Save October 30th for a complete day of Halloween Fun with your horse. Start by planning your best Halloween costume and riding in the Lucas Founders Day Parade. The Parade starts at 1 PM. Staging is behind Lucas City Hall starting at 11 AM. There is plenty of room to park your trailers there. Keep your costume on, stay for lunch and then trailer over to the Brockdale trailhead for a costume contest at 3 PM. Scary witches will be on hand to serve you witches brew and prizes will be awarded to 1st, 2nd and 3rd places in 3 divisions—adult (over 18), young adult (14-18) and youth (under 14). Then put your costume away and ride the trail but be back in time to enjoy the company of friends and a good dinner at 6 PM. Lucas will also be offering trunk or treating for the littlest citizens at 6 PM back at Lucas City Hall. If you don’t have a horse or you’d like to walk in the parade, we need two TTPA banner carriers to lead us out. 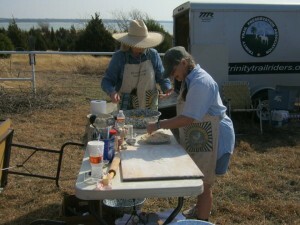 Please let me know if you’d like to do this at bobtracy at dfwair.net or 214-495-7493. This parade would be an excellent first parade for an inexperienced horse to try. There is not as much scary stuff as in some of the bigger parades and not as many spectators and plenty of room along the streets. He might, however, have to deal with a beautiful llama. You can attend any and all of these events. Please RSVP to me for the Parade and the dinner at the email and telephone number above so we are sure we have enough food for you and can give an estimate to the Lucas Parade organizers. Remember to bring your Coggins papers for the activities at Brockdale Park. Its time to do some Fall clean up at the Brockdale Trail head. Bring lopers, trash bags, and weed eaters if you have them. 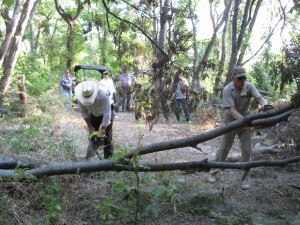 The recent rains have caused everything to grow so we need to reclaim the trail from Mother Nature. As part of the workday we will be painting the metal bridge so we can cell it. Don’t forget to bring gloves and water to drink. Contact Charlie Gaines if you need more information at 972-824-3369. Mark your calendars. Oct 30th is going to be a BIG day. TTPA will be hosting its annual Halloween Costume Contest (at 3 PM) followed by a trail ride at Brockdale Park. There is also a parade in Lucas that starts at 1 PM that is inviting horses to participate. You can wear your costume in the parade and then to the contest. Here is a letter from Tracy Matern outlinng the details. This is Tracy Matern, chairman of your Halloween ride. We’re planning a great full day of fun in conjunction with the Lucas Founder’s Day Celebration. We need some volunteers to get this organized. Please call or email me at bobtracy AT dfwair.net, 214-495-7493 (home) or 214-392-2288 (cell) if you can help fill any of these slots. 1) Acquire the trailride and coggins check sign from the chuckwagon at Pat and Cliff Martin’s, 4040 Avion, Wylie, 75098. 2) Set the trailride sign up at Brockdale Park Road and 3286 about one hour before the TTPA Halloween Contest (2 PM). 3) Set up Coggins Check sign and check all incoming trailers until they stop coming in. Relax and enjoy the trailride and festivities the rest of the day. You can bring an assistant if you wish. 1) Acquire assistants to help with the set-up, cooking and serving. Our event committee members Debbie Bourgeois (dgbourgeois AT dfwair.net;214-383-0164), Elizabeth Lane (elane9 AT peoplepc.com;469-667-5349); Sharon Berryman (sberry AT pisd.edu;972-727-6316), Elaine Kortkamp (elainekay2 AT verizon.net; 972-824-8–2) and Lucy Estabrook ( 972-442-1329;972-442-6143) may be able to help or you can ask friends of your own. 2) Arrange to pick up the TTPA Chuckwagon from Pat and Cliff Martin, 4040 Avion, Wylie, TX. 75098. You can reach them at 972-412-2652. The chuckwagon has everything you need to set up including a propane grill and coolers for drinks. 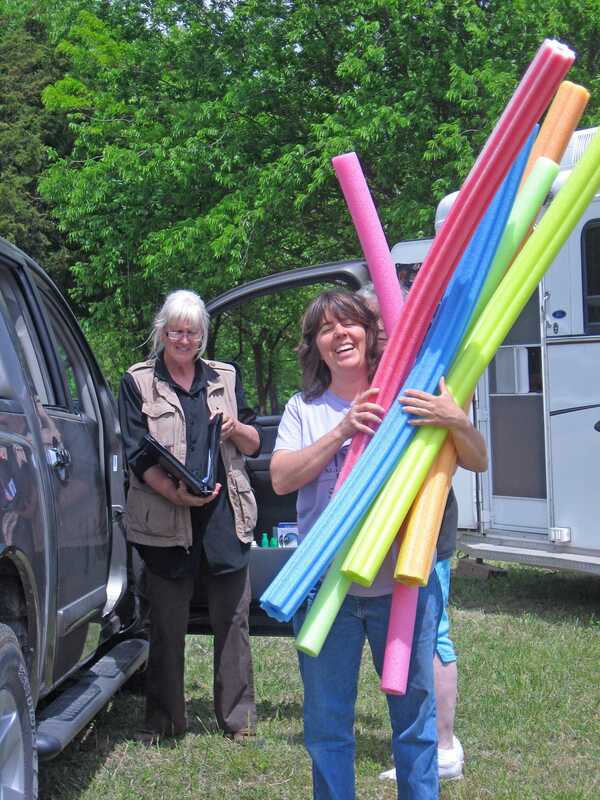 Bring the chuckwagon, set everything up and cook hamburgers and hot dogs for the participants. Make sure there is ketchup and mustard in supply. Acquire cash box at the same time. 3) Pick up or assign someone to pick up hamburgers, hot dogs and buns from the Lucas food booth at Lovejoy High School at 3 PM. See Mayor Carmickle to pick this cooler up. I will confirm with the Major prior to October 30th. 4) Assign someone to prepare tomato slices and onion slices and mayo and bring them to the cookout. 5) Pick up drinks and ice them down the day before…water, diet coke, sprite zero, Dr pepper. Check with Pat and Cliff about current inventory. 6) Decorate tables with Halloween décor. Berdine has delivered the décor to me so I can transfer it to you. 7) Tear down. Wash dirty dishes,etc, and return to trailer. Do a trailer inventory using the trailer inventory sheet. Contact Tracy for the latest version. 8) Return the trailer to Pat and Cliff Martin’s house. 9) Reimburse yourself from the donations collected for your food expenses. Record receipts and expenses on the chuckwagon spread sheet and send it to the treasurer along with the receipts. Note: If you are interested in the Chuckwagon Boss’ job for next year, this would be a great way to see if you would like the position. You will need a vehicle capable of towing about 2000 pounds (I think). 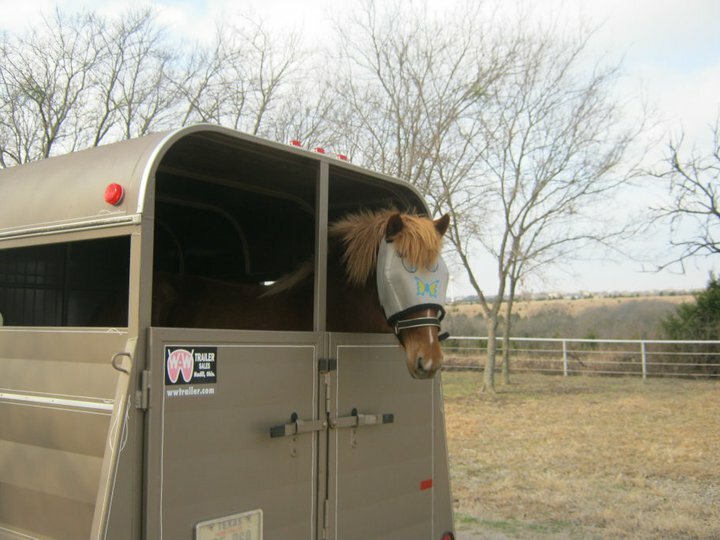 Your car insurance will cover hauling the trailer. 1) Acquire tables, plates, cups and forks from the chuckwagon or bring your own for the Halloween Witches Brew. Decorate them. Tracy has the decorations. 2) Find a recipe for witches brew and use dry ice to make it scary. Acquire a large witches brew pot. Tracy has nasty gummy bear fingers and toes to put in the brew. Buy the ingredients. You will be reimbursed. Set up before the contest about 2:30 PM to serve. You may also decide whether to stay and serve witches brew at 6 PM but it is not necessary. 3) Acquire candy or cupcakes to serve with the witches brew. You will be reimbursed. 1) Arrive about 2:45 PM with pencil and paper ready to award 1st, 2nd and 3rd prizes in each category. Join your horsey friends for a trail ride this Saturday September 25. TTPA is hosting a ride starting at the Highland Park Trail head. If you haven’t been the the trail head lately, it has been expanded so there is plenty of parking. To view pictures of the trail area see Highland Park trail head information page. There are two trails you can ride from the Highland Pafk trail head. The north trail offers a winding loop through the woods and takes you by the giant Sycamore tree. The south trail has a nice variety of both woods and a few open pastures. Here are the details of the ride. Bring lunch/snacks and something to drink and a chair. We can all meet up at the trailhead after the ride and enjoy lunch together. Don’t forget your Coggins Papers! 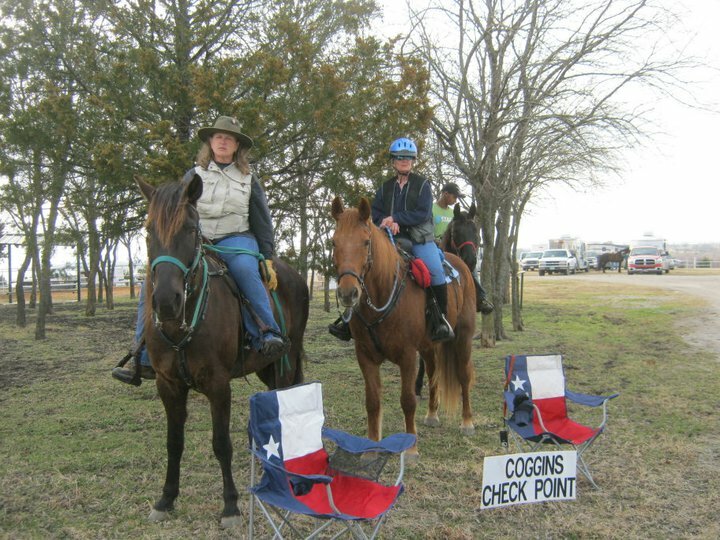 Look for Elly Tittle who volunteered to do the Coggins Check for the ride (thanks Elly) ! From Hwy. 75, exit Bethany Rd. (East) for 6 miles to 1378. Turn Right on 1378 to Stop Light and turn Left on Hwy 3286 at the Lucas Food Store. Drive 2.4 miles go over the first Lavon Lake bridge but turn Left on Snider Ln. which is before the second bridge. Drive .6 miles and look for the white pipe fence on your Right. This is the Highland Park Trailhead. TTPA members are deeply saddened by the tragic loss of Jeffrey and Heather Monroe and encourage everyone who can to attend this trail ride on 16 October 2010. 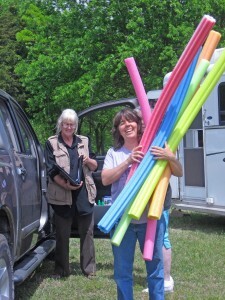 While this is not a TTPA event, the Monroe Family has been a big supporter of trail riding and the TTPA. Here are the details for the ride. The Monroe Children ages 8, 10, and 14 lost both of their parents in July. This trailride and chuckwagon steak dinner is to raise money for these kids. Riders and Non-riders are welcome to attend. Ride starts at 10 am and dinner will begin serving at 4pm. Choose your trail and ride at your own pace; or just come for dinner if you don’t ride horses. We need an accurate headcount for the meal; please rsvp no later than Oct. 7 with a total headcount for your group.